The U.S. men's national soccer team will play an exhibition match Tuesday evening in San Francisco's Candlestick Park as part of a send-off series before heading to the World Cup in Brazil. The match against Azerbaijan starts at 7 p.m. and marks the team’s first visit to San Francisco since 2006. The U.S. team has never played in Candlestick since the stadium’s construction in 1960, but beat Japan 3-2 at AT&T Park in 2006. 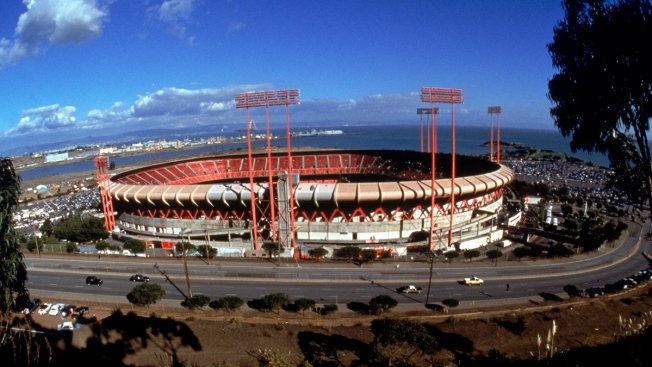 Candlestick Park will close for good later this year. The stadium’s current tenants, the San Francisco 49ers, are moving to Levi’s Stadium in Santa Clara. The other two matches in the men's soccer team's send-off series will be in Harrison, New Jersey, and Jacksonville, Florida. After that, the team will travel to Brazil to participate in the World Cup. Tuesday evening's match could make for a busy night on San Francisco highways as the San Francisco Giants will simultaneously play the second in a three-game series against the Chicago Cubs. The Giants are hosting Autism Awareness Night at the game and will be giving away special Will Clark statuettes to commemorate the 25th anniversary of the first baseman winning the 1989 National League Championship Series MVP. Tickets for the match are still available at http://www.ussoccer.com/tickets/140527-us-men-vs-azerbaijan.